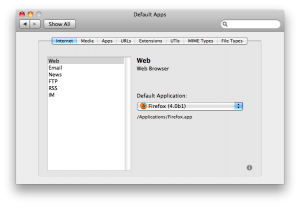 Are you bored with clicking the right click every time to select your fav application to open a file ? At least i am , i like VLC very much and using it for last few years as my media player. 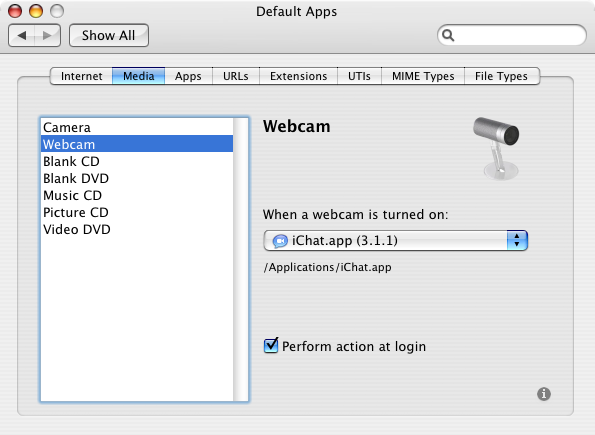 RCDefaultApp also allows setting the application when digital cameras or FireWire webcams such as iSight are connected to the computer. 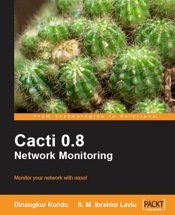 For completeness’ sake, there are also settings that mimic the existing “CDs and DVDs” preference pane, which allows setting the action to take when various types of CDs and DVDs are inserted into the computer. 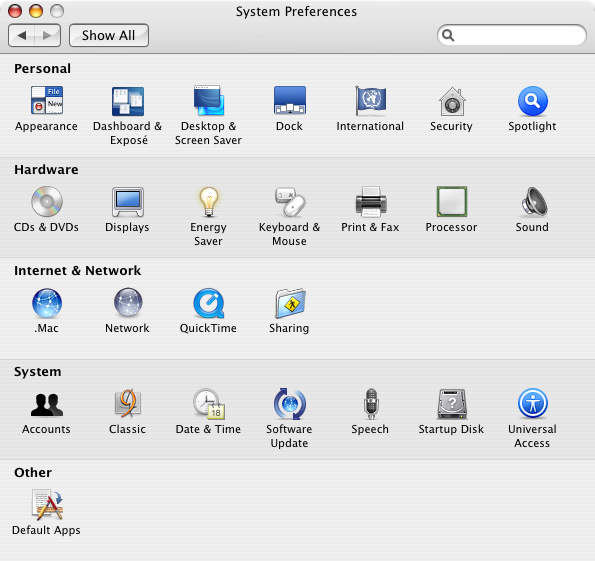 This screenshot shows the section where the default application for various Internet services can be set, similar to the preference in Safari.app and Mail.app. 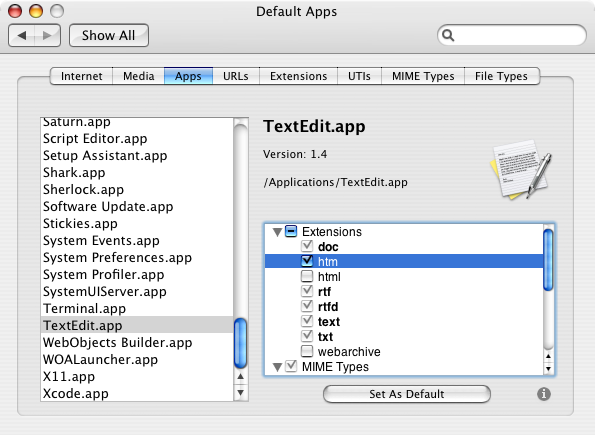 This shows how to set the application for an extension; just pick the desired application from the list. This shows the section to set the action for when various types of media are inserted or turned on, similar to the preference in Image Capture.app and iChat.app. The CD and DVD preferences are also duplicated here with easier access to the “Perform action at login” setting. This shows the section where each application’s possible settings can be seen and assigned at once. The small button in the bottom right is for RCDefaultApp “About” information. 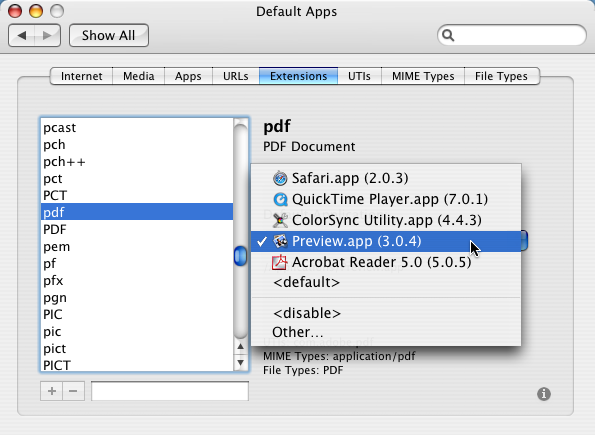 This shows RCDefaultApp as it appears in System Preferences.app.